I planned to capture the awesome shimmery-ness of Black Star, but I kinda failed. All the pictures came out a little blurry. Maybe it's time I need a better camera or I should stop trying to photograph in hurry right before I go out. Luckily, Liz has tons of magnified close-up pictures and swatches, so hop on over to see them. Here, I will try and show how the Black Star looks on me. 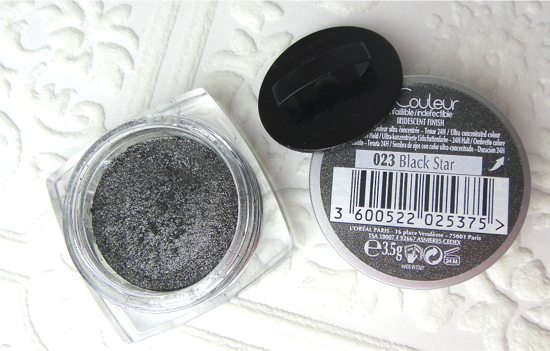 Black Star is a deep grey with tons of silvery shimmer. It looks more of a straight gunmetal grey in the pot, but you can see this color has a green tinge to it once applied. 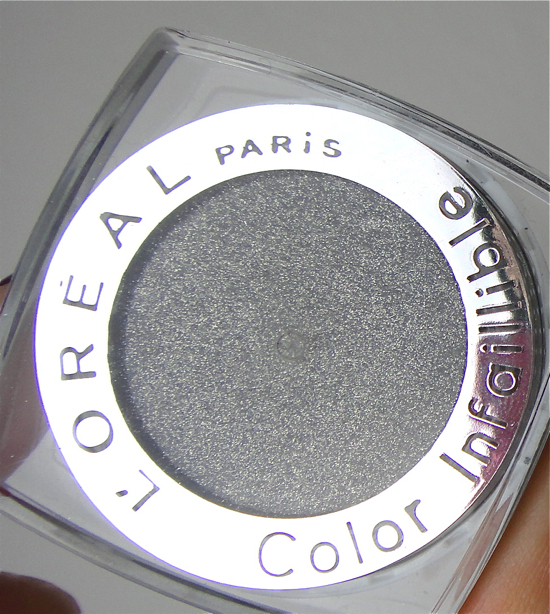 It is very pigmented and goes on smoothly like the other Infallibles with strong shimmer and foil finish. I can't really think of anything similar from my stash not because I don't own any dark shimmery grey color but because of the hybrid texture of Infallible eyeshadows. 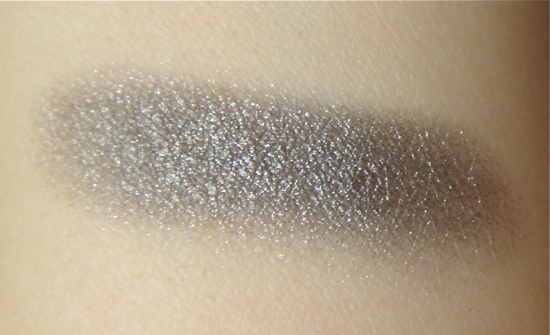 Bigger shimmer like the one in Black Star often ends up more on the cheekbones than on your lids. It tends to happen more with conventional powder eyeshadows, even the higher-end ones with better texture and pigmentation. I don't experience any of that with Black Star thanks to its creamy-yet-dry texture, and I am happy to see all the shimmer is intact throughout the day without irritating my eyes. Here is an overall look with Black Star. Black Star is a very versatile color for me. I can layer this over a black pencil base (I usually use the L'Oreal Voluminous Smoldering liner) for a sultry and dramatic smokey eyes. Today, I just used it alone on my lids to show you the actual color payoffs. This is still a quite deep and defining look. Since I kept the color closer to the lash lines, it looks like I am just wearing a dark eyeliner when I fully open my eyes. This way, I can easily wear it during the daytime even to a conservative setting. 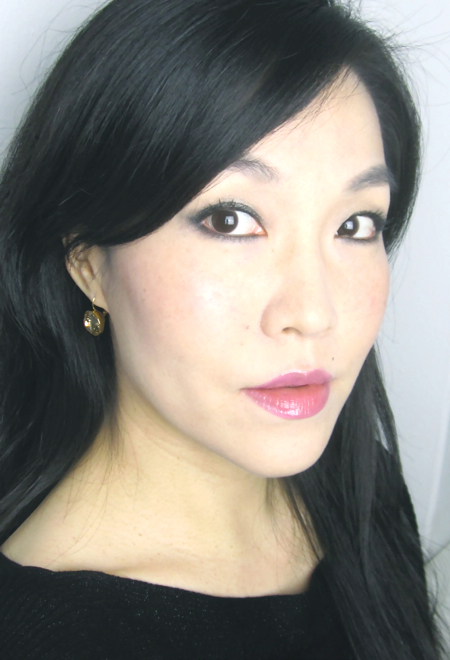 I am also wearing it in this look paired with grey color contacts. I love this color and there is no doubt Black Star has made a great addition to my existing Infallible Collection. I have been curious about the Giorgio Armani Eyes To Kill, but I actually passed on them while I was Black Friday shopping on the site yesterday. I have seven Infallibles now and I think they are good enough for me, at least for now.